We are both a school of arts and an art gallery. The art on display in our gallery is created solely by our students. We develop beginners into more accomplished artists, and enhance the skills and techniques of those who have already mastered their art. Students come to our classes for a variety of reasons. Some are entry level students, some are emerging artists, some are already published , and some are art teachers. Their time spent in class at Art Studio 308 provides them with an opportunity to become immersed in their art because they are surrounded by other students who have come to the class for the same reasons. Everyone in class benefits from the synergistic effect of being surrounded by like-minded students who share a commonality. 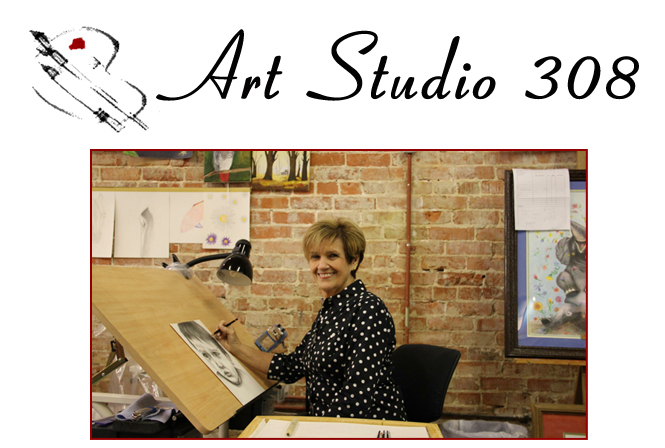 Art Studio 308's owner, Georgia E. Dickson, is an artist and the sole instructor for Art Studio 308. Georgia has been painting for more than 27 years . Her training has been both formal and informal. Her paintings have been displayed in art galleries and art exhibitions throughout the state of Florida. Oil is her preferred medium, but she is also skilled in acrylics, graphite, color pencil and water color. Georgia's style of teaching is a combination of teaching art techniques and one-on-one interaction with each of her students.